Our industry has many facets to it. It’s our job to continually educate our clients and customer on different aspects of the business. Click on the links below to watch the videos. Green Equipment Options is the professional builder, planner or contractor’s resource to reduce energy costs with efficient solutions no matter how green you or your customer wants to be. We offer a variety of products from well-known industry leaders such as ClimateMaster for geothermal and Kysor Warren for grocery store refrigerated cases. Contact Green Equipment Options for wholesale energy efficient parts and equipment. ClimateMaster, the leader in geothermal energy efficient equipment has designed a geothermal savings calculator that can help determine just how much you can save by going with geothermal. 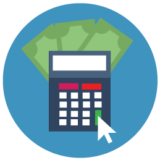 After answering just a few simple questions about the home’s and the occupant’s existing heating and cooling system and hot water needs then the savings calculator will do the rest. There are a number of financing options for what you need. We can guide you to the best solutions available.